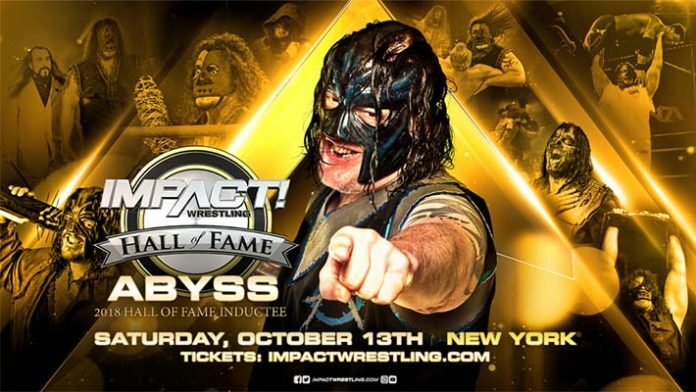 Christopher “Abyss” Park will be inducted into the 2018 Impact Wrestling Hall of Fame. Park has spent the last 17 years of his career with Impact Wrestling, debuting at the first-ever TNA pay-per-view in June 2002. He will actually be the first true Impact original to be inducted into their Hall of Fame, as the rest of the inductees first made their names elsewhere. He will also be the only person in the class to have never worked for WWE. During a 2016 episode of The Pancakes and Powerslams Show, which drops every Tuesday on the Wrestling Inc. YouTube channel, Park revealed that he turned down a WWE offer in 2006. “There was interest from [WWE]. I was at a time in my career where my contract was coming up,” Abyss said. “But I decided to stay with TNA… It was definitely an offer there in 2006 to work with Undertaker, but again, I was such a big part of the beginning of TNA, I was such a home-grown talent, a base talent who they were building around, I decided to stay. The Impact Wrestling Hall of Fame ceremony will take place during Bound For Glory weekend in New York City.